Is you a man or woman of [Insert your “Element” here]? This is part 1 of 4 of for the Big Summertime Storytelling I do this summer with Man of Steel, Wolverine, Pacific Rim and Elysium. I have been on the Swedish premier of Man Of Steel. It’s by far the best “Superman movie” I have seen. It’s about finding your identity and fitting in. Something we all can relate to. 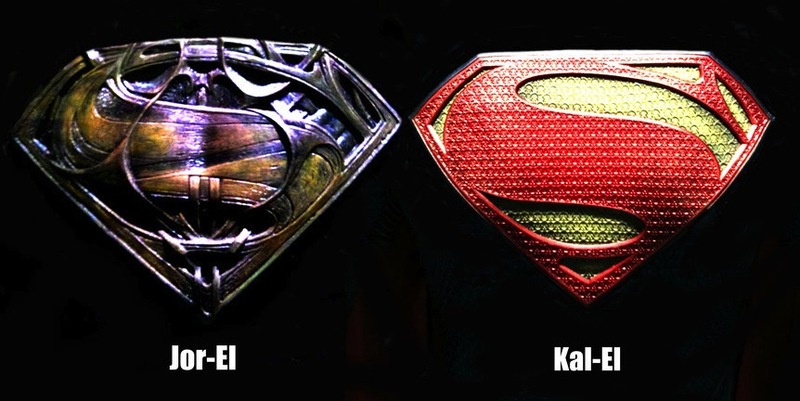 Kal-El is struggling to find his identity on planet Earth where he is a stranger. Yet you don’t have to be from another planet to have the same struggle. It’s a constant battle between fitting in and walking your own path. This battle also highly affected by the people in our own tribe around us and how they judge us. From this viewpoint it’s a very interesting Superman- and Superhero Movie. Although it’s not as meaty in this regard as I wished it could be. It’s also a Visual and Audial fest of storytelling with an amazing opening from Planet Krypton with a great Russell Crowe as Jor-El. One word to sum it up would be Epic. Apart from brief line where one of the villains says that they have “No Morality” much of the philosophical thought is great. Of course all thinking higher sentient lifeforms that are able to build a thinking civilization have morality. A code by which we value our intentions, decisions, and actions. What path should we wander in life. What ever path we walk we have to make sacrifices. Mostly Sacrifice for ourself but sometimes even sacrifices for others. I think many people today in the western world are unaware of this or tries make no sacrifices at all. Constantly trying to please others or one self. Let us all talk about what we want out of life and what is important for us, the tribe and most importantly of all the whole human civilization so that we can flourish for at least 100 000 years like Krypton did. Then what about logic? Today I listened to an interesting podcast about the Irrational Human Mind. Some of us tries to be rational thinking and logical beings others just go by our emotions solely. As most modern action films this film is also ripe with illogical plot holes. It saddens me but as Superman always felt way to illogical for me from the beginning I can look past most of them and concentrate the emotional end philosophical parts of this movie. How can we make us more like the rational human beings we sometimes think us to be? We can’t do it alone and we can’t do it for ourselves. But we can do it for each others. Find out more about Dan Ariely and his research on irrationality here. I have also been listening to conversation with Carlo Strenger about the new global globally connected Human Tribe member: Homo Globalis. He has book out that is called The Fear of Insignificance: Searching for Meaning in the Twenty-First Century. We are all afraid that our lives should be insignificant. This is an irrational fear. Never the less it is also as real as anything else and very important to us. WE must be more aware of this and try to find a meaning for us self and also a bigger meaning in life. A Greater Vision for all of Humanity to strive towards. I think it is really missing today. 100 000 years. Of course such a vision is incomprehensible for us humans. So we must break it down in very small parts for us to understand. The best way to learn of this vision is to …. wait for it … Visualise it. That’s right. There needs to go allot more thought into Stories like Man Of Steel. All stories convey a message or a vision. So by giving more thought into how we tell our stories we can start sending the right message. Hopefully James Cameron will continue this path with the sequels of Avatar and show us the way to do it.